Safeguarding children is everybody’s business and the Local Safeguarding Children Board is committed to the continuous learning and development of staff and volunteers working with children, young people and families. Please note: Before booking onto any training, please speak to your line manager to authorise this’ The cancellation policy still applies, as below. A charge of £100 per person will be made to agencies when participants do not attend or give less than 7 calendar days notice of cancellation. We recommend the Home Office training packages which are free of charge and can be accessed online. NELC and partner organisation employees: Please contact rebecca.freeman@nelincs.gov.uk on completion to ensure training records are up to date. Completion certificates are available to download. This is the entry level training course which will help you to identify signs of radicalisation and understand how to report concerns appropriately. It has been refreshed to include the recommendations from the Parsons Green review, updated information following the change in threat and attacks of 2017, and new case studies. This training is for anyone who has completed the above Prevent awareness eLearning or a Workshop to Raise Awareness of Prevent (WRAP) course, and so already has an understanding of Prevent and of their role in safeguarding vulnerable people. It is aimed at anyone who may be in a position to notice signs of vulnerability to radicalisation, introduces the NOTICE-CHECK-SHARE procedure, and shares best practice on how to articulate concerns about an individual. It also advises line managers who receive referrals on how to respond, whether that be establishing more context, or reaching out to partner agencies for support. This training package is for anyone who may be asked to contribute to, sit on, chair a Channel Panel or simply find out more about what Channel panels are. It is aimed at all levels, from a professional asked to input and attend for the first time, to a member of staff new to their role and organising a panel meeting. It also covers information sharing including how, when and with whom to share information on a Channel case. For learning support enquiries please contact Virtual College directly on 01943 605 976. Take control of your own learning and development and register your details online! This suite of e-learning courses is currently free of charge to all people working with or providing services to children, families and vulnerable adults. Once you request your online learning course you have 21 days to complete it. If you do not complete the course within the set time frame there will be a charge of £50 for your organisation. Each course takes approximately 1 to 3 hours to complete with a short test at the end. Once you have registered for learning online, you will then be able to request your training from our directory of Safeguarding courses. To help with the selection process we have provided a summary of content and target audience for each course. As part of the Anti-bullying Alliance All Together programme a suite of free online training for anyone that works with children and young people has been developed. The programme was particularly developed to reduce levels of bullying of disabled children and those with special educational needs but applies to all children. Each module takes between 30 – 45 minutes to complete. To support this requirement a framework has been development to define the knowledge, skills and behaviours required for anyone who works, volunteers or leads work with children, young people and families. For further information please visit the Restorative Foundation website. Please contact us at learninganddevelopment@nelincs.gov.uk or by phone on 01472 324097 for more information. Team on 01472 325500 or healthyplaces@nelincs.gov.uk. Persons that are working with adults with mental health difficulties, who may be parents and those working with children and young people across all statutory an voluntary agencies where parental mental health issues may be a concern.Persons must have completed the Mental Health First Aid Lite Training or Parental Mental Health E-learning in order to book onto this course. This course is appropriate for line managers, supervisors and service managers in all organisations and whose staff work with children, young people and families or with adults who are parents/carers. To enable managers at all levels to help their staff deal with the complexities and challenges of working with neglect cases from early intervention to safeguarding. This is a method of safety planning with children and families, which uses a common language and is solution focused and encourages workers to assist families in taking responsibility for resolving issues and keeping their children safe. 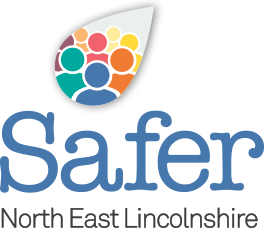 Signs of Safety courses are available to book on to now – please visit the Signs of safety training brief (PDF) on how to book onto the three day course. Peer support workshops are aimed at supporting professionals who are trained in completion of the GCP V2 tool. The length of the workshops will be 1.5 hours and will vary in location in order for all professionals and their line managers to be able to access them with ease. Identifying what we want to achieve from the session. Using case examples we will look to map any worries and barriers, what’s worked well and why, solutions and ideas. Provide peer support through ongoing mentoring on use of the tool. Please bring anonymised case examples to the session, as this is a confidential and safe space to discuss cases. A 6 week course consisting of 1.5 hours session per week, delivered by practising counsellors, who are registered members of British Association for Counselling and Psychotherapy (BACP). The counsellors facilitating on this course practise for Feelings First, a Local Authority Counselling and Therapy Service for young people aged 4 – 25 years. We are looking to increase the number of in house trainers, who would be able to deliver/facilitate ‘Basics In Safeguarding Children’ and ‘Introduction to Safeguarding Children Level 1’. Safeguarding Children training events within their own settings and also to be able to co-facilitate other themed level 2 safeguarding events. Please note that should you be approved as a Safeguarding Children Trainer, you will be required to attend the Training for Trainers Event, at no cost to your organisation. If you wish to discuss whether you would be suitable for this role or if you need any further information, please contact Emma Wragg on Tel: 01472 325531. Perinatal mental health problems are illnesses that are specifically linked to pregnancy, birth and up to a year afterwards. This includes conditions such as depression, anxiety, PTSD and psychosis which are known to affect at least 10% of mums. Please visit the course flyer containing more information on the course and how to book a place. The LSCB Level 2 Child Sexual Exploitation training has now been updated to incorporate Child Criminal Exploitation! Please note if you have previously completed the LSCB Level 2 Child Sexual Exploitation training, it is advisable to complete this new training, as CSE referral pathways have changed and Child Criminal Exploitation (CCE) and referral pathways have now been developed too. To book a place, please contact the Learning and Development Team by emailing learninganddevelopment@nelincs.gov.uk or speak to a member of our team on Tel: 01472 324097.